Looking for movie tickets? Enter your location to see which movie theaters are playing Liberal Arts near you. 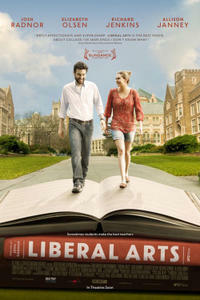 A college adviser (Josh Radnor) becomes involved with a student when he revisits his alma mater. Thoughtful romance mulls impact of large age difference.